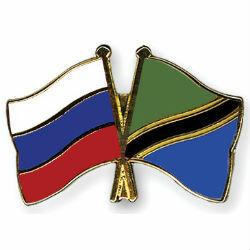 Russian gas giant Gazprom met with representatives of the Tanzanian Ministry of Energy & Minerals and of the Tanzania Petrol Development Corporation (TPDC) to discuss opportunities for gas operations in the country. It is understood that Gazprom decision to enter or not the Tanzanian market will be based on geological and geophysical data analysis that the company intends to complete in the nearest future. Gazprom currently operates upstream in Africa in Libya, Algeria and Nigeria. In 2013 the company signed an agreement with Guinea Ecuatorial de Petrоleos (GEPetrol) to explore and develope gas offshore blocks but then decided to withdraw after seeing no prospects in the country. Over the past two years, exploration activities in Tanzania’s deep offshore waters led to the discovery of 45 trillion cubic feet (tcf) of natural gas, and more is to come as drilling campaigns continue to unfold.